You don’t have to spend a fortune on your car tyres in Cadnam, Southampton. Cadnam Garage Services promises to deliver quality but at affordable priced tyres so that you can get back on the road in no time. If you don’t know anything about tyres and the confusing options, we’ll be happy to talk you through them. When cost is the main priority, we will recommend the best quality within your budget. For those who decide quality outweighs the cost, we will talk you through all the tyre options available. This area of car maintenance is one that many people forget about. Many vehicles fail their MOTs because of their tyres. When changing them, Cadnam Garage Services mechanics will talk you through proper maintenance and help you understand when the tread is thinning and the proper inflation levels of the tyres. 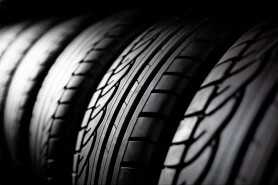 Not only will your tyres last longer, you will improve the fuel efficiency of your vehicle. Please contact Cadnam Garage Services today for more information on our range of premium and regular tyres in Cadnam, Southampton.